OCTOBER 2007 -- The recent truck accident on Route 44 in Avon prompted the State Traffic Commission to ban heavy through trucks from going over Avon Mountain until January 1, 2008. The reasoning is that this will give the Department of Transportation and the State Traffic Commission time to study alternative solutions. If necessary, the State Traffic Commission could vote to continue the ban past January 1, 2008. The biggest problem with the ban is that it can only apply to through trucks, not local trucks. A “through truck” is a truck that does not have any scheduled pick-ups or deliveries in the town and is only passing through the town. Any truck that has a scheduled pick up or delivery in Avon or West Hartford is a “local truck” and is not subject to the ban. The dump truck that crashed in 2005 killing four people was scheduled to deliver its load of dirt to a construction site off Route 44 near the top of the mountain, so it was a local truck and would not have been subject to the ban had it been in place in 2005. In that case the driver was not familiar with the area and missed his scheduled turn off Route 44 near the top of Avon Mountain. Trucks will still need to get their loads from one side of Avon Mountain to the other. The trucks that cannot use Route 44 will have to use an alternative route. The two nearest alternatives are Route 185 through Bloomfield and Simsbury and Route 4 through Farmington. Both of these roads are narrow, two-lane roads with long, steep hills and sharp curves near the bottom of the hills on the west side of the mountain. They were built long before motor vehicles existed when those building the roads generally took the path of least resistance and safety engineering was unknown. People who live and work along these roads or who drive them regularly claim that the ban on trucks on Route 44 will only move the problem to the alternate roads. Another major concern is the trucks themselves. Some truckers claim that a brand new truck in the best condition could burn out its brakes going down Avon Mountain with a heavy load. Like cars, most trucks are not in showroom new condition. Some of them have enough serious defects that they should not be on the roads at all. The Department of Motor Vehicles has stepped up its truck inspections on Avon Mountain, but there are only a limited number of inspectors and they cannot ignore the rest of the state. Some people have noted that the inspection stations in other states are open most all the time while those in Connecticut are rarely open. But just because an inspection station is open does not mean they are inspecting all the trucks that go through the station. Many of the stations now have equipment that weighs the truck while it is still moving and, so long as the truck is not over the weight limit, it passes through the inspection station and back onto the highway without ever stopping. The real problem is finding a permanent solution to getting trucks safely from one side of Avon Mountain to the other. Run-away truck ramps have been suggested, but they are only useful for a very limited distance along the road. Two other solutions that have been suggested are building an overpass at the base of Avon Mountain that would carry Route 44 over top of Route 10, thereby eliminating the traffic lights at the base of Avon Mountain and building a completely new road, possibly as a tunnel, from one side of the mountain to the other in such a way that there would not be any steep hills. Both of these solutions are possible from an engineering view point, but the problems are the cost, the time to construct the new facility and the land that would have to be taken to build the new facility. Many years ago the State Grange passed a resolution to encourage the State to design a highway from Hartford to northwestern Connecticut which we referred to as the “missing-spoke.” We tried to revive this idea a few years ago, but were told by the legislators from the northwestern part of the state that their constituents liked their relative isolation and simply did not want a major highway bringing more people into Litchfield County. Perhaps we should now come forward with a recommendation for an expressway from the Hartford area to the west side of Avon Mountain. The Grange got Connecticut out of the mud in the 1930s. 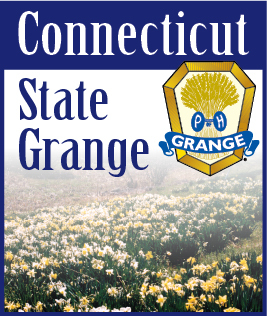 Perhaps it is again time to show Connecticut that the Grange can solve a major highway problem and recommend a safe alternative to Route 44 over Avon Mountain.